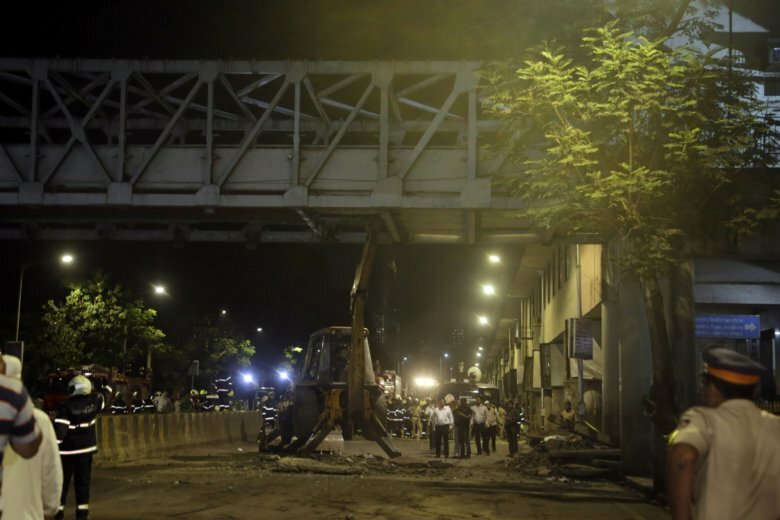 An audit of the bridge’s safety was carried out last year, said Maharashtra state Education Minister Vinod Tawde. He told reporters that some minor damage was detected and had not been repaired before the collapse of the bridge. Thousands of commuters have used the 39-year-old bridge daily to reach Mumbai’s bustling Chhatrapati Shivaji Maharaj Terminus railway station. Maharashtra state’s top elected leader, Devendra Fadanavis, ordered an inquiry into the collapse of the structure. In 2017, a stampede broke out on a crowded pedestrian bridge connecting two railway stations in Mumbai, India’s financial and entertainment capital, killing at least 22 people and injuring 32. India’s public infrastructure projects are substandard and collapse often in part because of corruption that leads to the construction of weak structure foundations and poor maintenance.